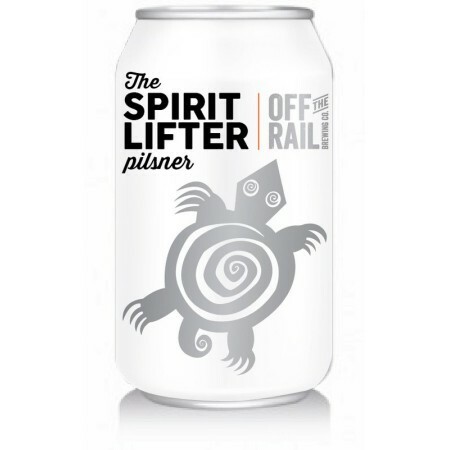 VANCOUVER, BC – Off The Rail Brewing has announced details of a new beer that is being released in support of an ailing legend in Canada’s music scene. Spirit Lifter Pilsner is a limited edition beer that will raise funds for John Mann, vocalist of iconic Celtic-folk-rock band Spirit of the West, who was diagnosed with early-onset Alzheimer’s in 2014. Mann subsequently retired from performing following a trio of farewell shows at Vancouver’s Commodore Ballroom in April 2016. Spirit Lifter has been fully approved by Mann’s wife Jill Daum and band mate Geoffrey Kelly, and will be available at BC Liquor stores and private retail locations throughout British Columbia on June 15th for the summer season. Proceeds from the beer – which was produced with donated ingredients and work from Northwest Hop Farms, Mile 37, and Perry Chua Brand Design – will be donated to John Mann and his family to assist with his on-going treatments.